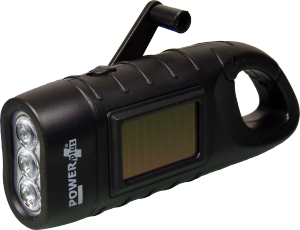 The POWERplus® Seahorse is an 3 LED Flashlight energised by dynamo and solar power. With the integrated carabina clip, the Seahorse is easy to carry with you. The 3 ultra bright LEDs garantuees a good performance in dark conditions.